Sport Racing is a realistic racing arcade game from zBoson Studio. Join dozens of racing events, win hundred of races, unlock racing suits, helmets, gloves and became a real racer. 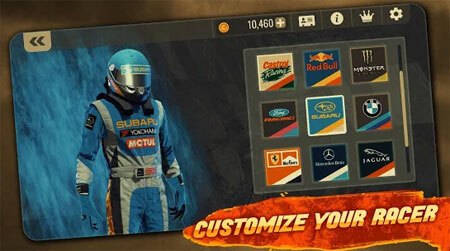 The game contains 20 legendary cars like Toyota Sprinter Trueno AE86, BMW M635, Ford Mustang Mach 1, Subaru Impreza Wrx STI, Nissan Skyline GTR R34, Honda NSX, Dodge Challenger and McLaren MP4-12C with different customization options. Test your racing skills on realistically created racing tracks including real world locations like Willow Springs and Istanbul Park with Day/Night/Rainy weather conditions. If you get stuck in the game, check out the video walkthrough and gameplay for the game. This entry was posted in Android Games, iOS Games, Mobile Games, Walkthrough and tagged Sport Racing Cheats, Sport Racing Gameplay, Sport Racing Guide, Sport Racing Strategy, Sport Racing Tips, Sport Racing Walkthrough by Marvin. Bookmark the permalink.